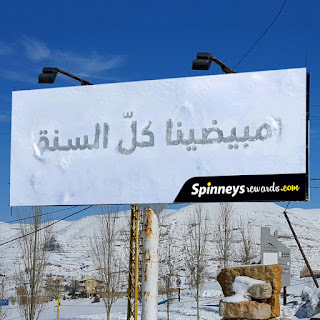 That I am partial to retro ads is of little surprise to readers, and so the ads on top advertising Spinney's return to Hamra street comes as no surprise. There was even a graffiti of this near AUB! (the third installment that is!). I love how they play on old values in a market which is craving them. 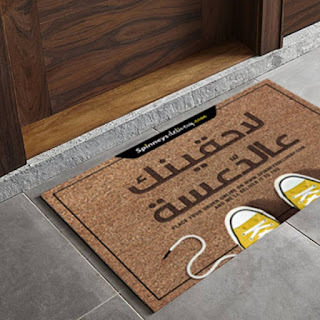 These come from Rizkgroup. 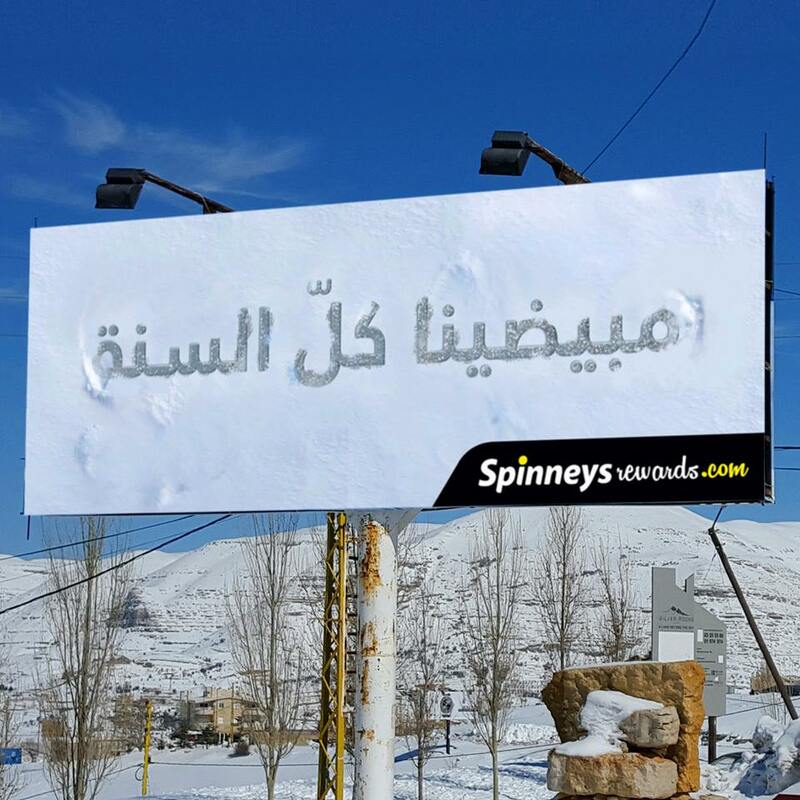 This ad above is in Faqra a popular ski resort and says "mbaydina" - literally "we make it so white" and figuratively "we'd make you proud" as an ad for the Spinney's Rewards. This one could be straight forward, but to think of something creative for something so bland is a miracle in itself! That would be the Spinney's page on LinkedIn. 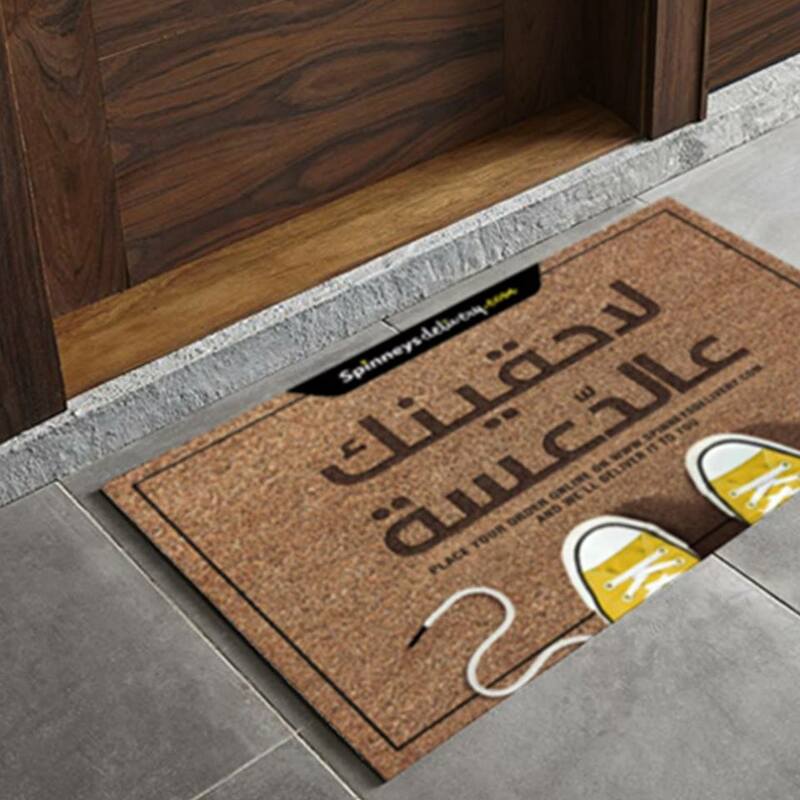 "We're one step behind you" says this mat which was distributed door to door and it advertises their Spinney's Delivery service. 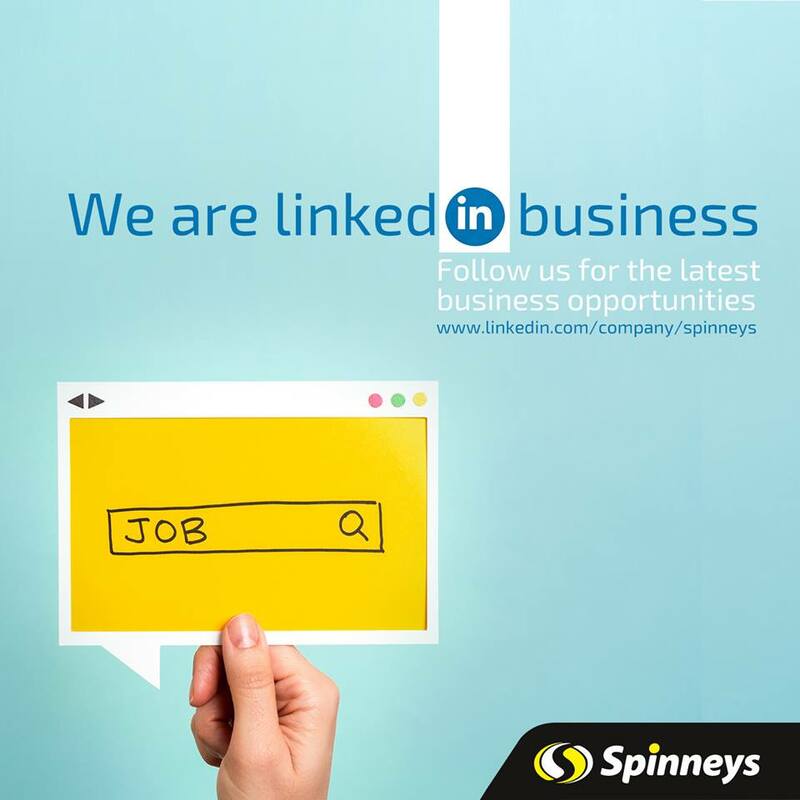 These but a fragment of what Spinney's has been up as of late! And I love it!